Investing in the right CPA exam prep course is a critical part of your study program to successfully pass the CPA exam. After you have determined the right prep course for you, you need to make sure you find the best deal possible. CPA exam prep courses are expensive and you want to make sure your not paying more than you necessary. 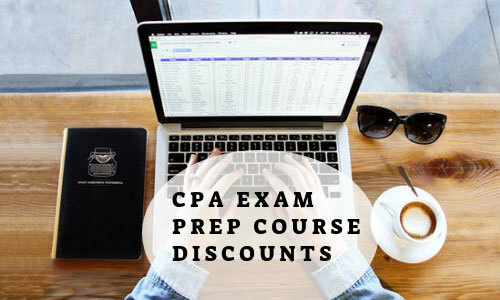 In an effort to help you find the best deal possible, we have curated an updated list with the best coupons, deals, and promo codes available for all the major CPA exam prep course providers. We plan to keep this list updated on a regular basis with the best offers. But keep in mind that promos and discounts change regularly, so check back regularly. Becker is probably the most well known CPA prep course provider in the industry. The company's material is detailed and comprehensive and is frequently used by a variety of public accounting firms. Becker's strong reputation for quality also comes a premium price. Before purchasing we recommend checking this page to see what current discounts may be available. This coupon applies to any 4 course bundle or the REG individual course product for Becker. The best way to decide if Becker is right for you is to try out the entire platform for free. Click below for a free course demo. Surgent CPA offers a nice combination of study material options to meet the needs of students with different learning style preferences. Surgent's highly advanced learning adaptive study platform utilizes algorithms to offer students a finely tuned learning experience that closely matches their progress with the material. They also stand behind their program with a 100% Pass Guarantee or your money back. This coupon applies to any product on Surgent including the full CPA review course packages as well as the individual package options. The best way to decide if Surgent is right for you is to try out the entire platform for free. Click below for a free 3 day trial. Universal CPA review is a New York city based prep program that offers a range of affordable CPA study programs. Even though Universal is a relatively new prep course provider, they are making a splash with a comprehensive review program offered at surprisingly competitive price points, especially compared with some of the larger providers. You have the choice of selecting individual programs or access to one single combined program for all 4 sections of the exam. With each course you have full access until you pass. Choose any Universal CPA Test Bank and receive 20% off the regular price. Yaeger CPA review is a well CPA exam prep provider with roots that date back to 1977 as a classroom based program for students taking the CPA exam. Yaeger offers a comprehensive product line ranging from in class video lectures to audio courses, and an advanced test bank software program. You can purchase any single course offering as well as a full 4 course bundle. Course access is available for a full 18 months with an optional extension to 24 months. Purchase any individual review course program and save $25 discount. Purchase any 4 bundle course and save $100. Try out Yaeger's online test bank for free. The test bank includes over 4,200 questions and over 200 simulation questions. Gryfin Test Prep is a modern and progressive test prep company that focuses on technology and efficiency. Gryfin offers a unique CPA cram course product which is driven by adaptive technology and detailed analytics to help you master your weakest areas in the most efficient manner possible. The cram course product is available as a 4 section bundle or you can purchase individual sections. This is a great option for students looking for extra test questions to practice for a much more lower price point. Try out Gryfin's cram course with a 20% discount. The discount is available on any individual course or the 4 course bundle. Crush the CPA Exam has been a long time resource for up to date information and strategies for passing the CPA Exam. Bryce utilized his extensive experience to design a supplemental CPA test bank for students. The Crush CPA test bank is a great resource for students looking for extra practice questions without having to pay premium prices required to access the test banks from some of the larger prep course providers. 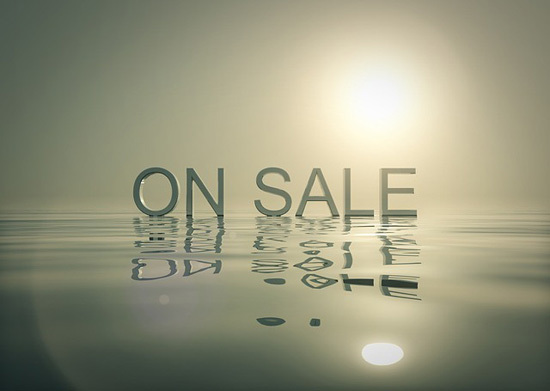 Purchase a single section CPA test bank for 55% off the regular price or purchase the combined 4 section CPA test bank for 75% off the original price. Gleim is an experienced prep course provider with specialized programs for a wide range of subjects. Gleim offers 3 primary course options, all of which include physical books. The comprehensive course offers over 100 hours of video lectures and a massive test bank. We don't have any current discounts for Gleim, but their website for current promotions. Note: Be sure to use "SEND" during checkout for the 4 Bundle discount & use "SEND1" at checkout for the 1 course discount. Click here to redeem your Discount!